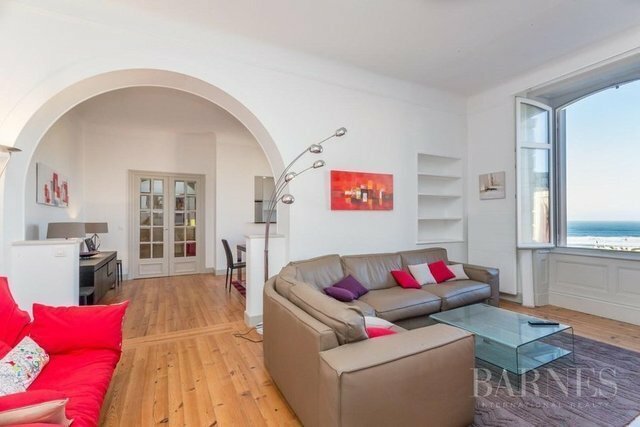 Biarritz, Hôtel du Palais, this 120 sqm apartment has been entirely renovated. Beautiful view of the ocean. building of character with Lift. 2 parking spaces and cellar.